Hurricane Harvey made landfall on the southeast and lower central coast of Texas on August 25, 2017 as a Category 4 hurricane, causing catastrophic storm surges, record-setting flooding, and widespread destruction in 43 counties. In the aftermath, at least 47 public drinking water systems were inoperable due to power outages, infrastructure damage, or simply being ill-equipped to deal with mass system flooding. The residents in these communities were being notified of the unsafe water conditions, with over 170 boil-water advisories issued. However, an estimated 12% of the impacted population (870,903 residents) are on private wells and are responsible for ensuring the safety and integrity of their own water supplies and wastewater systems. Like most states, Texas does not oversee or enforce drinking water regulations for residential private wells. 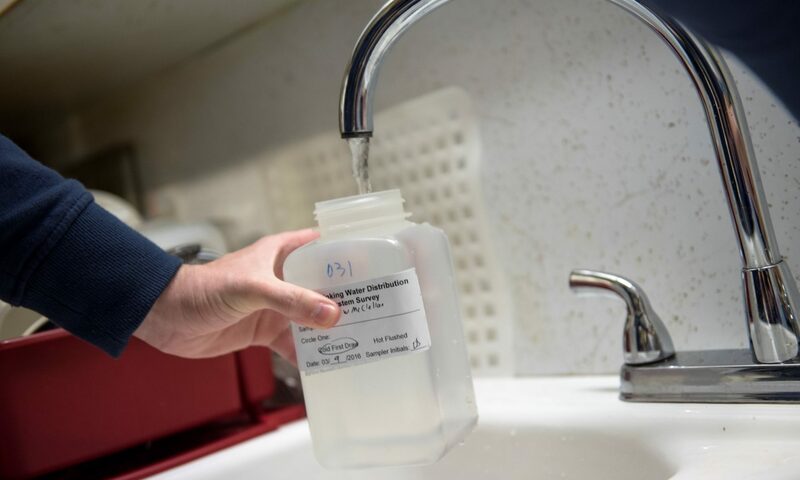 In the aftermath of hurricanes Harvey and Irma in Texas and Florida, we hypothesized that members of the private well community would have an urgent need for opportunities to test their water quality for bacterial contamination, information on how to properly disinfect their wells, and help implementing disinfection protocols. We have teamed up with Texas A&M AgriLife Extension and the University of Florida Institute of Food and Agricultural Science Extension to facilitate sample collection and communication of results. We were able to do this through a National Science Foundation (NSF) Rapid Response Research (RAPID) grant. RAPID grants support urgent and time-sensitive research investigating unanticipated anthropogenic (i.e., human-caused) or natural disasters. Our grant is titled, “Potable Water Hazards and Resource Needs in Private Well Communities Impacted by Extreme Flooding Events.” Read the grant proposal in full below. This research grant is also aimed at developing communication strategies and informational resources for future severe flooding events, which we are doing in collaboration with the Louisiana State University-Health Science Center. All community engagement and communication is being done through Texas A&M and the University of Florida, using existing or developing new community-based infrastructure to communicate with, instruct, and receive feedback from the communities where we have been working. The pages linked below summarize our work to-date.